The other night we were visiting my uncle and aunt and I made a joke about having cold feet at the wedding. Although it was understood to be a joke there was a tone of "OMG" in the air which I felt should be clarified. To be honest, it got me thinking "would I be the type that would get cold feet?" I think the whole thought process happened in my mind after watching the movie "Up in the Air" with George Clooney (awesome movie btw). There is a scene where the groom-to-be is explaining to Clooney why he feels nervous, and he was basically having difficulty realizing that a. he is growing up, and b. that with marriage come responsibilities and more likely than not, kids, expenses, running around, etc. So back to my little joke at my uncle's house... after blurting out the words "cold feet" I started thinking of what the possibility would be for me to be in that same frame of mind the day of our wedding. If Chocolate Lover is reading this (yeah, big IF there! ), I would like to ease your worries by saying that I am beyond that. I feel that I have matured with you already, and I am excited about the added responsibility and running around that would come with marriage. I've never had performance anxiety and I am not about to start on September 25th. In the presence of the blogging community and the hundreds of friends/followers you are making, I will promise to you now and forever, that the temperature of my feet will remain at 37C (98.6F). P.P.S. What temperature will your feet be at Ms. Chocolate Lover??? Hold the stone in question next to a diamond and "huff" on them with your hot breath. Both stones will fog up. The diamond will clear up rapidly, while a CZ will take a little longer. This is due to diamond's greater thermal conductivity. When a CZ is upside down and backlit (light coming through the crown, viewed from the pavilion side) its pavilion facets will often "flash" orange. CZ is 80% heavier than diamond. Hint: This will show up pretty fast when she's comparing items with her friends. Put the CZ a glass of water, along with a diamond. A CZ (with a 2.2 refractive index versus diamond's 2.42) will appear more "transparent" than a diamond. It will look more "washed out", or "ghostlike" compared to a diamond. In a dark room, put the stone in question in the bottom of a glass alongside a diamond, face down. Lift the glass up a couple inches, and shine a flashlight down on them vertically from above. Diamond has a dispersion of 0.44, while CZ's is 0.66, 50% more. You will see a circular pattern of light images under the stones which has been "stretched out" into a rainbow spectrum. If one of the stones is a CZ, its rainbow spectrum will be 50% longer, more "stretched out" than a diamond. The difference in look is obvious. Give the stone in question to your fiancée as an engagement ring. If she throws it back in your face within 24 hours, it is a CZ. This is the most decisive test of all of them. So many of you are fans of the Olympics and others not so much. I was actually indifferent to the winter Olympics until they came to Vancouver. The city has been buzzing with people, events, sports, culture, and its truly different. Mr. Milk and I are actually going to an Alpine skiing event this weekend and will take plenty of pics of Whistler and the games to show you guys. In the mean time, we've been out and about Vancouver checking out the sights and feeling of the city and I thought I'd share with you guys where we live and whats going on here! Mr. Milk and I in front of the new Olympic Line. We just got off the Bombardier streetcar. Unfortunately it will be removed after the Olympics. The Erickson building, built to look like the human spine. I can only imagine how much this ad cost! Cherry blossoms already in bloom! Crazy! Finally had a JapaDog. These have been all the craze around here for a while. We had the pork hotdog with terimayo, onions, and seaweed. It was ok. Not sure what the hype is about to be honest. And last but by no means least, the Olympic cauldron! Its really as beautiful as it looks! The line up to see it just keeps getting bigger and bigger. I am way behind on these posts, but I can't help it! The wedding stuff just takes priority at the moment. Plus whenever there is something wedding related I am just dying to share it with you guys! Anyway the previous weekend was Valentine's Day (as you already know!) and since Mr. Milk and I didn't get the chance to spend many of these together while we were long distance (maybe one if my memory doesn't fail me) we thought we'd hang out, spend the day together, and make an ordinary day just a little more special. Started with gorgeous tulips which we found from a street-side vendor. 4 bunches for $10! We went to a tiny french cafe called Salade de Fruit for brunch. Mr. Milk had this huge bowl of steam mussels which smelled divine! I had the mushroom quiche which was delicious. And greedy me gobbled it up before we could take a pic! This was dessert! Mango, pear, and raspberry sorbet! Mr. Milk made reservations at a lovely restaurant with a gorgeous view of the city! We started off with lobster bisque. Yum! Initially we weren't going to get dessert but who could resist the dessert sampler! Chocolate pate, apple and rhubarb cobbler with sour cream ice-cream (surprisingly delicious! ), and cappuccino cheesecake! I was the lucky recipient of a couple of blog awards. The first is from the lovely Gaynor at Our Day By Design. Thank you lady! The second is from the lovely Mrs. Chic 'n Cheap Living. She's a real globe trotter so be sure to check out her interesting posts. 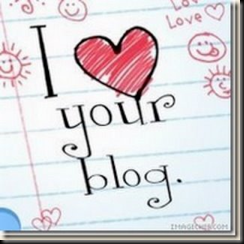 I am supposed to pass this on to 15 other bloggers, so as a thank you I want to pass it on to my newest 15 followers. A few of my friends told me that living with someone is a compromise. Isn't life all about compromises anyway? So why the negative attitude towards cohabitation? I'm happy to report that it's been 229 days since Chocolate Lover and I moved in together. That's approximately 7.5 months, which is 1.5 month longer than the turning point most of my friends warned me about. See, they said "wait until 6 months go by and you'll see!" They warned me of troubles stemming from incompatibilities that we never knew existed, and unpredictable emotional roller-coaster rides I wouldn't even begin to fathom. Living with CL has been the best thing I've ever done. After 5 years of long distance, and a combined 60 trips to and from San Francisco and Vancouver, I think the fact that she likes toothpaste in a tube whereas I like it in a squeezable container, and that she wants to go on a two-week cleansing diet with me that is driving my manly eating habits ballistic, is the least of my concerns! The fact is that we can talk all afternoon long and not have to worry about the line disconnecting, or listen to my complaints that my ear is getting too warm from holding the telephone or that my bluetooth battery is dying. The fact is that we can cuddle and be close to each other for as long as we want and shut off everyone else who causes a stir in our lives. The fact is, they were wrong. And I am looking forward to tons more! As you may recall, I found the exact wedding shoes I wanted completely by chance. Well they were a little plain so I got on my handy dandy computer and started my online search for a shoe clip that I liked. I discovered a web site called Ruby Lane with lots of sellers selling antiques, jewelry, art, and so on. On Ruby Lane was a fantastic seller called Cheryl who owns Fancy That! Artisan Jewelry and she was selling some super cute shoe clips that I had to own! Cheryl was great! Very responsive to emails, fast to send out my purchase, let me know when she shipped them, and even wanted to know that the package had arrived, as she was unable to get tracking for that class of mail. I encourage you to check out her sight and see if there is anything you might like! Look at the pretty packaging! And here they are on my shoes! I love them! Simple but add some sparkle. Don't you just love online shopping!? I sure do! If you've been following for a while, you may have noticed that I like color. Ok, I love color! One of the things I wanted was to have a colorful wedding. It would bug me when people would say things like "you need to pick one main color" or "these colors are too close together" or "you can't have that many colors." Well pooh pooh to you! (mature, I know). Anyway, I decided I was going to stop discussing such issues with said people and instead just do what I want. After all, if my wedding ends up looking like a circus I'll have no one to blame but myself! Don't get me wrong, I don't want it to look like the rainbow threw up all over our wedding, but I do want to use things like the flowers, the ladies dresses, the guys ties, the favor packaging etc, to add color to an otherwise white and natural backdrop. My maid of honor will wear the raspberry colored dress, her sister and my first bridesmaid will wear the tiffany blue dress, my cousin the turquoise dress, and my lil' sister a tiffany blue dress as well. I picture the bridal party holding pretty bouquets of all white flowers to contrast the dresses and my bouquet being a piece of multicolored gorgeousness! The invitations will include the tiffany blue against some neutral colors as will the favor packing, the groomsmen's ties will reflect the ladies dresses, and the flowers in the centerpieces will be colorful (more to come on these all soon). So what do you gals think? Do you think I've lost my mind? Hope you are all having a wonderful day with your loved ones! Fridays with Mr. Milk - Events of Olympic Proportions! In case you haven't heard, we are hours away from the opening ceremony of the 2010 Winter Olympics here in Vancouver, Canada. It's been an amazing experience to live through the entire preparation phase, from the announcement in 2003 that Vancouver would host the Olympics, to the day the massive countdown clock in city square shows "0 days". I've been thinking about how I felt in 2003 when the announcement was made... At the time, I was working for Best Buy Canada head office and I remember all employees gathering in the cafeteria to watch the announcement live. Little did they know that with everyone's jump of joy and cheers for the successful Vancouver bid, came a 50-60% increase in their home's value, and $77 billion of taxpaying dollars towards organizing the two-week show and face-lifting the already beautiful city. I remember thinking "wow, who knows where I'll be in 2010". It just seemed so far away! I can't believe we are here now. And what a ride it's been. Chocolate Lover and I are happy to be in the heart of all the excitement. Our friends from Cyprus are commenting about how awesome the city looks in the segments promoted in international news. Let's ignore the fact that they had to haul snow from 237 km away since this ended up being the warmest winter on record! The week before it all began CL and I kept driving around the city late at night when the crowds had exhausted their curiosity and when there was fewer road closures in the downtown core. The city looks like out-of-the-box new. This is exciting. I think it'll give us a chance to immerse ourselves into something else and take a bit of a break from it all. There's definitely a positive vibe in the air. Here is a quick glimpse of the English Bay lights show, shot with my phone a couple of days ago. Until next Friday, this is Mr. Milk, signing off. I love going to the spa, getting a massage or a facial, hanging out with friends, and just plain relaxing. In fact, this is what I would like to do for my bachelorette weekend! While this isn't something I get to do often due to cost, I figured the excuse of the wedding can push me to do this more often that I normally would for the time being. The other day, after much research, I went to Breathe Spa in downtown Vancouver. The place is gorgeous! Its a small, quaint spa, with friendly, knowledgeable staff. My aesthetician was Melissa and she was great! I've wanted to have a facial for a few months now and was hoping to have one done in Cyprus while we were away. Unfortunately due to all the health issues we had in our families this wasn't possible. The experience was awesome, my face feels smooth and my skin looks bright and clean. Melissa recommended a facial every two months which seems doable. No one pushed too many products on me (have a read of Salt's funny account of her recent facial experience) which is also good. How about you ladies? Do you enjoy such experiences or not your cup of tea? Warning: Not the most positive of posts. At least to begin with. I've been a bit mental these last few weeks. I've had mood swings like theres no tomorrow! One moment I'm happy and content, the next something insignificant happens and I've got my knickers all in a twist. The worst part is when I just get plain ol' angry. And who has to deal with me... yup Mr. Milk. Its bad enough that he works hard all day long, and sometimes when he comes home too, the last thing he needs is a fiance who should be on Xanax AND Prozac! Being in Vancouver is starting to take its toll on me. I miss my family, my friends, having a job, having an income, my car, my dogs, and the list goes on. While I am happy that we finally live together and get to do everyday things together, the unbalance in my life is becoming very difficult to deal with. Everyday I try to channel in good energy, positive thoughts, a better attitude. And most of the time I lose this battle. I know its mind over matter, I know I should focus on what I have versus what I don't have, I know there are a lot of people who have it far far worse than I, but yet there is a but. And that but comes from the fact that many things that give me personal satisfaction I cannot have or do right now. In many ways all I have right now is Mr. Milk. And this is neither healthy for me nor him. I know this situation is temporary and once I am out of it I will probably look back and be a little disgusted with myself, but I'm in this slump and I'm having a tough time getting out of it. It's always initially difficult when we come back from Cyprus to get readjusted again, but this time its taking forever. Not being able to work here doesn't help any. And while I have an exam to study for, I am so not motivated to do it. I get into it a little bit and then have an insane need to watch trashy daytime TV that I've never seen in my life, or get something to eat when I am completely full! I really couldn't have asked for a better man in my life! And while I have the option of heading back home earlier than planned (will be going in June for wedding planning purposes), I can't imagine leaving him behind and being apart for longer. I promise to try harder to have a better attitude and make your days happier. Because you so deserve it! Greek version of lasagna, otherwise know as Pastitsio. Delish! And now I get some leftovers - which I typically don't like, but dishes like this only taste better! My apologies for the late post fellow followers. 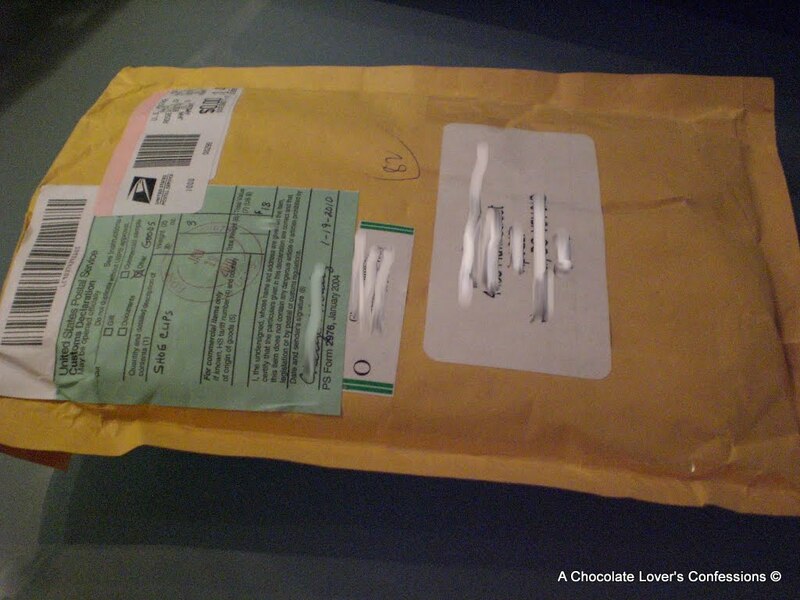 Sometimes work travel gets in the way of my promise to Chocolate Lover to keep these weekly posts coming in on time. Speaking of time, here's a dilemma that CL and I are grappling with. What time should our reception start? Our wedding ceremony will be performed at 5pm and should take a maximum of 45 minutes to complete. The sun sets at exactly 6:39pm and we want to make sure we have enough time to take our first pictures as a married couple. The question is should we take the pictures while our guests are enjoying a light cocktail and come back at 6:45 to receive their congratulations, or should we receive the congrats first (20 minutes according to the DOC) and then head off for the pictures at the risk of missing out on daylight? I'm worried that if we do the former, our guests will disperse and it'll be hard to get them organized in an orderly way so that they can proceed with the receiving line (in Cyprus it is typical to wait in a line up in order to shake hands with the bride, groom, and parents). If we do the former, then they will greet us as they walk out of church but there's the chance that unexpected delays may reduce our photo shoot time. CL and I have different opinions on this so I thought I'd get you guys to weigh in. Have you had to think about that before? Will it be too difficult to greet people after 45 minutes have passed? Everyday cleaning products can leave scum deposits on the diamond leaving it looking dull and lifeless. Once build up has occurred, the diamond's beauty becomes hidden underneath all of the grime. The diamonds sparkle and brilliance depend on the ability of the diamond to refract light. 1. A small bowl that is deep enough to be filled with the mild liquid cleaner and cover the diamond jewelry to be cleaned. 2. A bowl of clean water that the ring can be rinsed in. The jewelry will need to soak in the mixture for around fifteen minutes to loosen the dirt and weaken and film or buildup. Gently scrub the diamond or precious stone with the soft brush, rinse frequently in the water bowl and continue to gently scrub the ring. If there is debris built up in the bottom of the stone between the stone and the setting, gently pry loose any dirt that may have built up. Give the ring a final rinse by swishing it around in the water bowl. Use the soft lint free cloth to thoroughly dry the ring. Your diamond jewelry should now be full of sparkle and brilliance. To keep things sparkly avoid wearing your jewelry when applying hand cream, hair products, perfume or when you perform any work that involves chemicals or dirt. If the diamond has been fracture filled than you can only clean it with a mild detergent. 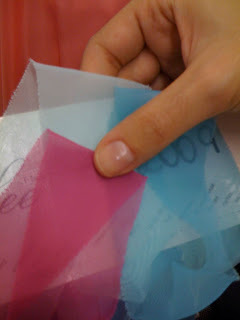 The material that is used as the fracture filler can turn color over time when exposed to the ammonia. If the diamond has not been fracture filled than a combination of water and ammonia can be used to clean it. Special precautions should be taken with antique jewelry where the setting may be unstable and is probably best to leave it up to the professionals. As we embark on this journey to the alter, we are all also becoming members of a family. A new family. Some know their partners family very well, others are just getting to know them. And then there is the whole "meeting of the parents" that can be nerve wracking to say the least. For us this has been an interesting experience, and while I believe Mr. Milk and I are on the same page, I will only speak for myself and my experiences. Most of you already know that a large portion of our relationship was long distance, Mr. Milk living in Vancouver and I in San Francisco. This also meant that we were long-distance from our families and childhood friends. The implication of this is that with a few exceptions, we have been unable to get to really know many of the important people in each others lives. And of course the most important of these are our families. While we each met the others family years ago, the distance and infrequent visits to Cyprus meant that we were unable to spend a lot of time with them so as to form stronger bonds. For us this has also been a little skewed, with Mr. Milk being able to do this more readily with my family than I with his. On a deeper level, our families are fundamentally different. There are differences in acceptance, interactions, values, expression of emotions, and attitudes towards life. There are also the different personalities that you need to learn how to interact with. We each know our own families and how to handle them, but these "methods" don't necessarily bide well with the partners family. Anyway, when we were first engaged my family was more obviously accepting of Mr. Milk into our family. I think part of it is that my family had more warning that we were getting engaged while for Mr. Milk's it was totally out of the blue. You see, unbeknownst to me at the time, he had called my dad the previous day to request his permission to "ask for my hand" (nicely done babe!) hence giving them warning. But he never talked to anyone about the decision he had taken. He felt that this was a very personal decision, and other's input was not important to him. He'd decided that he was ready to take the next step, so to speak, and went about it the way he thought best. So needless to say I wasn't the only one that was shocked Christmas morning 2008! Then there are the stereotypes. For a daughter and her family getting married is something that is looked forward to and almost expected, whereas in a son's family this isn't necessarily something that is thought about much. And the way most Cypriot men typically react to the "when are you getting married" conversation, is like you are talking about giving them a gross, contagious disease! The different reactions were difficult to deal with initially. There were plenty of times where I felt like our happiness wasn't shared by all family members. As we would start to think about and talk about our wedding, not everyone would partake in these conversations, even when directly asked. Now don't get me wrong, I realize that the universe doesn't revolve around us and our wedding, but I expected more from immediate family. I am the type of person who shows affection. I like public (and private) displays of affection, I express emotions, be they happiness, excitement, anger, or sadness. I also can't hide my emotions. No matter how hard I try, what I am feeling is written all over my face. I also typically have a good gauge on people and it drives me nuts when I can't "read" them. So as you can imagine, this lack of expression of any type of feeling was confusing to me and I found it hurtful. This also made it difficult for me when we really started to talk about the details of the wedding with Mr. Milk's family, like where it will be held, the guest list, the reception and so on. I couldn't quite get a sense of how to disagree with them without appearing rude or offending them or something. I found that conversations about the wedding would frustrate me, and I preferred not to engage in them, wanting to just plan it on our own and have them just show up on the day. But even when we were back in Canada, planning on our own, we both wanted to keep the families informed of what we were doing and so would show them things we had bought, the invitation design, the website (will do a post on this soon! ), and so on, which mostly also ended in frustration with the different reactions and ideas that would come our way. We initially decided that we would each deal with our own families since we already knew how to handle them. While this seemed like a good idea at the beginning, we slowly found that it was impractical. We would be in the room with one set of parents talking about the wedding and only one of us would pipe up to discuss it. We both had ideas and wants that needed to be expressed at the time of the conversation and having one person speak for both of us just didn't work. I also realized that I wasn't being true to me and who I was by essentially hiding behind Mr. Milk, and this more than anything was driving me crazy. After all, how were they supposed to get to know me if I wasn't being me. So this time round things were different. From both parties. I realized that they needed more time to get used to the idea that they now had a new member in their family and they made more of an effort to make me feel like part of the family. For Christmas Mr. Milk's parents gifted us a trip to a spa resort for 3 days, with them, and we had a really enjoyable time. I also spoke my mind more. I realized that just as in wedding planning, someone isn't always going to like what you say or do. And thats ok. Just because they are your new family doesn't mean that you need to conform to their ways of being or they to yours. And while I can't speak for them, I can definitely say that I was much happier. For some dumb reason it is presented in the wedding world/media/whatever that once you become engaged, immediately everyone loves everyone. Well real life doesn't quite work that way huh?! Like any relationship, it is a work in progress, and as long as both parties can be respectful and put effort into it, I think it will work out in the end (minus a few exceptions). How about you ladies? How was it for you when you became the newest member of a family? 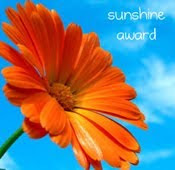 Thanks to my pal's Party Planner Gal and Ghenet I have been given another blog award. I really like this one as I do feel like I've got a great circle of friends in the blogosphere. I'm supposed to write 5 things that I love to do, and pass this on to five other bloggers. Here goes in no particular order! I was also honored by Salt with her award. Thank you lady!